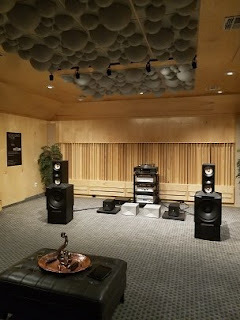 "Audio Limits has been considered an exotic high end audio dealer since its establishment in 1994. 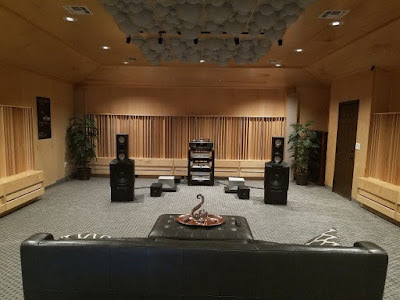 For many years we have searched out and carried only the best high end audio has to offer. 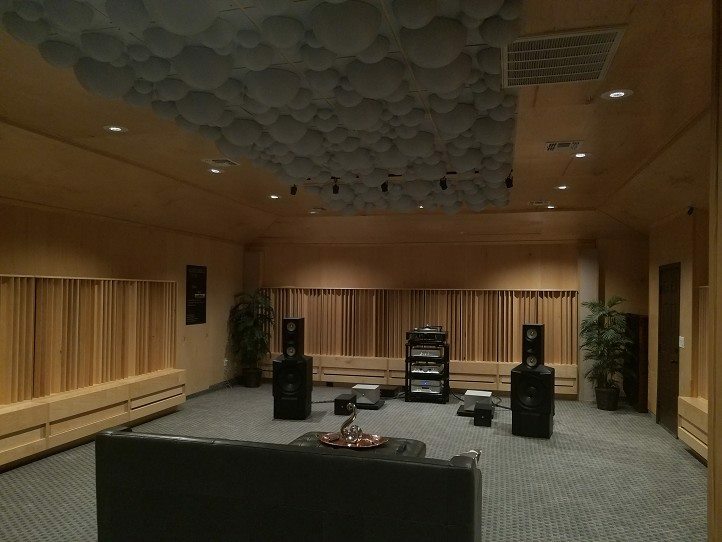 However, the industry as a whole has combatted with room and audio acoustics." Audio Limits has set up and treated it’s showrooms with several well known high end audio products, and although there were improvements among various frequencies there were also drawbacks causing other important frequencies to suffer. This ultimately resulted in something I like to call a dead room, lifeless and boring. 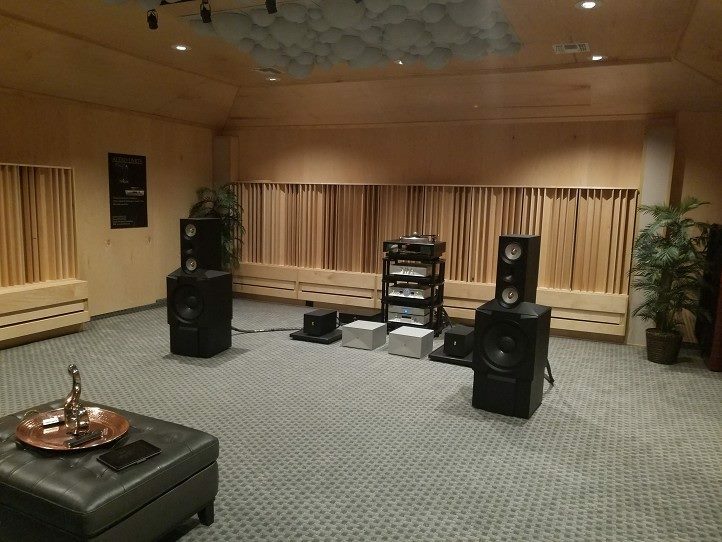 In January 2017, we received a call from a customer in Pennsylvania that wanted to upgrade his audio equipment to Thrax Audio. We shipped him our demo equipment and booked a flight out to see him. Upon arrival, we entered one of the most beautiful high end audio rooms we had ever seen, and he had the Thrax Audio gear already up and running for us. We did a few tweaks in setup and power conditioning at that's about it. His room possessed incredible sound which made our equipment sound second to none. Not only was the room gorgeous but the sound became live. Immediately we had to get all the info from who designed and created this room. He gave us the name of SMT in Sweden and Jeremy at Accurate Acoustics in Chicago. We contacted them right away and got Matts from SMT to start the design process of our new showroom in Laughlin, Nevada. 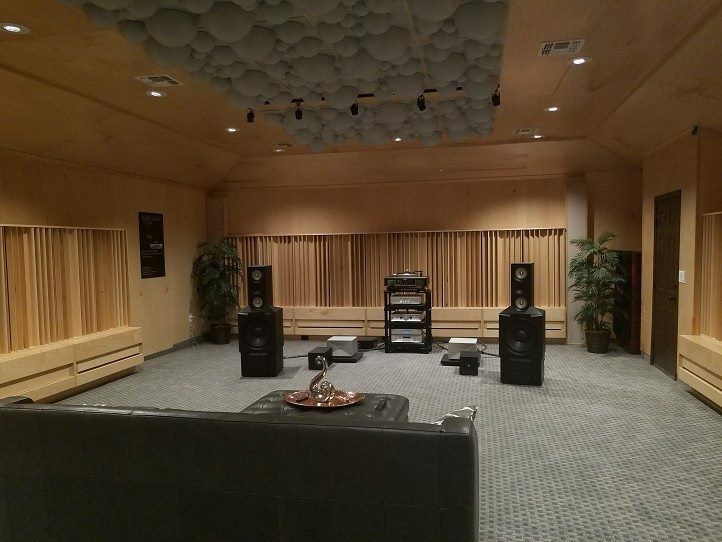 He provided all of the details to jeremy at Accurate Acoustics who built all the wings and bass traps. When they were complete Jeremy hand delivered them and did all the install work and tuning of all bass traps. 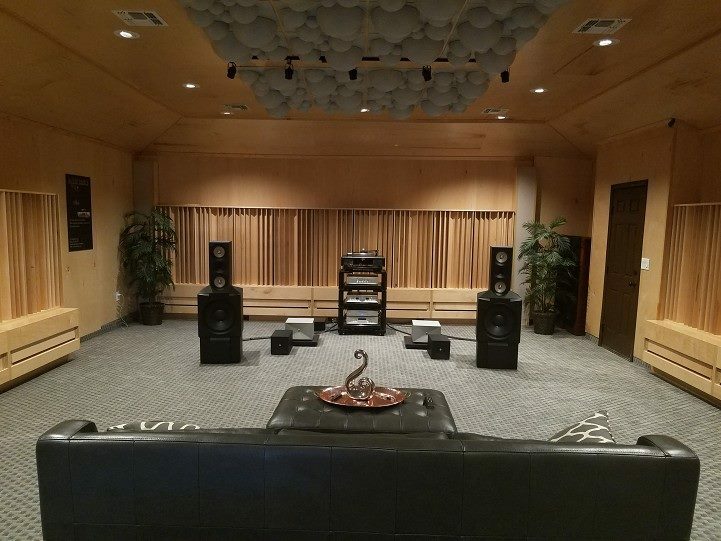 These guys are extremely professional and do excellent work..
Our new showroom is absolutely incredible, never have we heard music sound so real and live. There is no attention to a sound system at all. It sounds as though the artist are in the room with you and it transports you where the event took place. It captures all of the natural decay times as well and does so with such accuracy. The sound is transparent with layers of depth and width well beyond the walls. The music becomes an experience translating to a state of euphoria. We truly believe they have the absolute best available room designs by a long shot. I would strongly recommend these products for anyone who is looking to improve there system with ultimate sound. Thank you so much Matts and Jeremy for such a world class showroom.